Open up your home to fresh air and light with an installation of our custom patio doors. 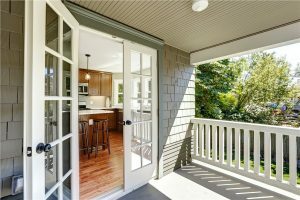 Warm weather and beautiful landscapes make the Atlanta region a perfect place to enjoy outdoor living, and having easy-to-use patio doors in your home can give you more convenient access to your outdoor living space. With the Atlanta patio doors from Tight Line Exteriors, you’ll open up your interior room to brilliant sunshine and warm breezes—with products that are customized to perfectly complement your existing home décor! Learn more about why Tight Line Exteriors is your trusted resource for quality replacement doors and other home remodeling solutions by giving our team a call today! You can also request a free, no-obligation estimate now through our easy online form.